Essendon is a Melbourne suburb about 10 kilometers north-west of the Central Business District. 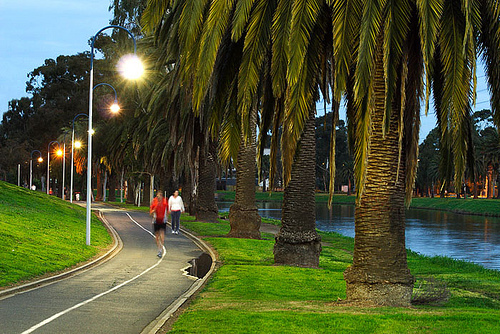 The suburb has a population of 18,852 and is part of the local government area of the City of Moonee Valley. 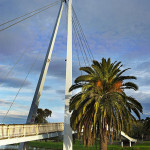 Bordering Essendon are the Maribyrnong River Trail on the southwest and Moonee Ponds Creek Trail on the east and north. These trails are often used by cyclists who bike to work every day or who are just out on recreation purposes. Originally, the Wurundjeri clan was the first inhabitant of Essendon and the Maribyrnong River banks. By 1803, the first European explorers composed of James Fleming and Charles Grimes arrived in the Maribyrnonng area. Eventually in 1851, the Moonee Ponds district was opened as a growing number of miners traveled alnog Mount Alexander Road to Castlemaine. Through the years, more development took place. Railways were set up although the initial private railway project lasted for four years only. The Victorian Railways services took over in 1871 serving the areas of Essendon and Melbourne. Industrial development such as cattle salesyards and brick manufacturing was supposed to start early in the area in the 1880s but this was rejected by the local council due to possible pollution issues in the Maribyrnong River. The council instead pushed for the creation of a playground for rowers, swimmers and fishermen. The first major residential property built in Essendon was a large mansion in 1890. Owned by Collier McCracken, a member of a local brewing family, the huge mansion was designed by architect R.A. Lawson and cost 35,000 sterling pounds to construct. Today, the property now houses the Lowther Hall Anglican Grammar School. In terms of transportation, Essendon now has 59 trams servicing Mount Alexander and Keilor Roads towards the city. Train services are also available starting from the Essendon station located on Rose Street. Other stations are Glenbervie on Glass Street and Strathmore station on Woodland Street. The Essendon Football Club which is under the Australian Football League can be found in the area. Unknown to many, Essendon has one of the most successful football teams in Australia.